Toys and Chews that are Tough Enough to Last, all offered have been chosen by Mr. Hoytt and represent the best of the best for keeping the kid happy during quiet times with the exception of our "killer frog" that is most fun when squeezed. First introduced in 1969 and the first real toy our pups receive around five weeks of age that talks back. Every Hoytt Dobe since has brought this interesting play friend home. 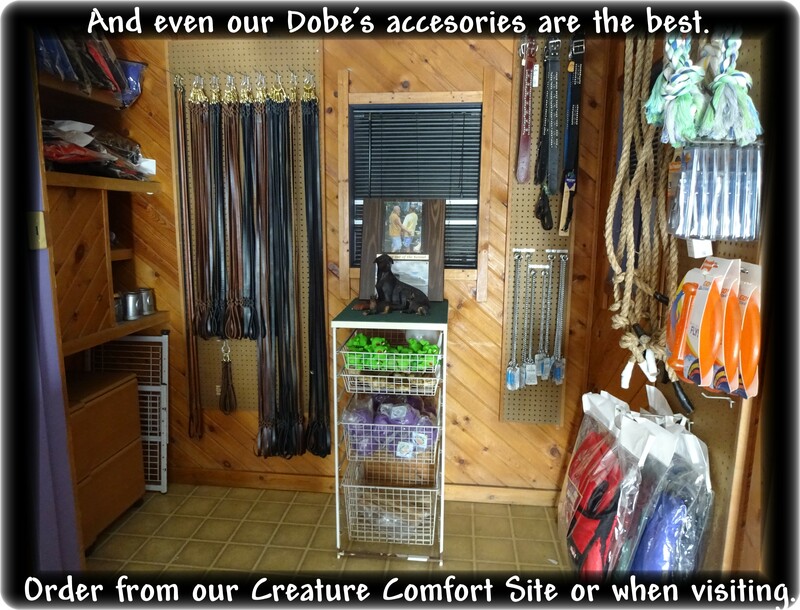 Should one become lost it is common to have the Dobe's owner call and order a new one express delivery.